All modern homes require some sort of water heater to keep the house functioning properly. There are different kinds of water heaters. They can run on gas or electricity. There are typically two main systems, a tankless water heater and a regular tank water heater. If you are unfamiliar with tankless water heaters see our chart below for the pros and cons of each type. RooterNOW® plumbers are licensed and experienced in installing and maintaining both kinds of water heaters for your home or business. There are many advantages to going with a tankless water heater. From increased energy efficiency and lowered operating costs to space savings and extended lifespan, find out more about what makes for good reasons to go tankless. The first thought on a tankless water heater is generally: how much energy/money am I going to save? Well right off the bat, you’re going to be spending MORE money to get a tankless water heater and all its plumbing in place. While a tankless water heater costs more upfront, your operating costs down the line should start to make up for it. What you’re saving is in not having to spend money on standby heat, meaning you’re not wasting money heating water in a tank that’s just sitting idly waiting for someone to need hot water. Tankless systems provide that hot water on demand, instantaneously, when you need it, so you don’t have to waste energy heating unused water. You’re also not losing heat that’s idly sitting in a tank that, while insulated, is still going to lose heat and require constant reheating. Our federal government has a free energy cost calculator to calculate your potential savings/costs. While a typical tank water heater is supposed to last 10 to 13 years, tankless water heaters are estimated to last up to 20 years. 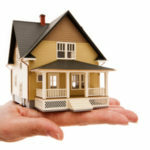 If you’re planning to stay in your home for a while, that’s a hefty replacement fee you’re saving. Even if you’re not going to stay in your home for that long, it’s nice to pay it forward towards the overall cost savings of home ownership. Even if you weren’t concerned about saving money and energy, one of the big advantages of tankless water heaters is the potential space savings. Traditional water heaters with 40 to 60 gallon capacity are generally around 60″ tall and 24″ wide. That bulky metal tank can take up precious real estate in a home where space is at a premium. A tankless water heater, in comparison, might be the size of a large computer, perhaps 20″ wide by 28″ tall and just 10″ deep. 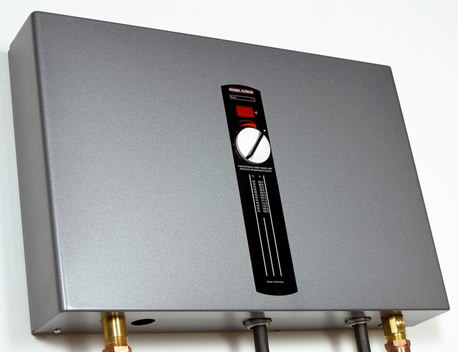 Manufacturers of tankless water heaters are fond of touting their products’ ability to provide an endless amount of hot water. But inconsistent water temperatures were a common complaint among our poll respondents. When you turn on the faucet, tankless models feed in some cold water to gauge how big a temperature rise is needed. If there’s cool water lingering in your pipes, you’ll receive a momentary “cold-water sandwich” between the old and new hot water. And a tankless water heater’s burner might not ignite when you try to get just a trickle of hot water for, say, shaving. Nor do tankless water heaters deliver hot water instantaneously. 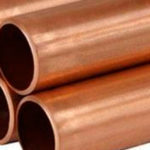 It takes time to heat the water to the target temperature, and just like storage water heaters, any cold water in the pipes needs to be pushed out. And tankless models’ electric controls mean you’ll also lose hot water during a power outage. 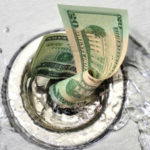 OPERATIONAL COST: Tankless water heaters can last up to twice as long as tank-type water heaters, and will cost about 10 to 20 percent less to operate than standard tank water heaters.